Beautiful, British colonial architecture aging gracefully in an Asian setting and quiet mountain villages that foreign backpackers love to explore have given modern Myanmar the character and vibe of being the "Asia of thirty years ago.” It is a paradise that the increase of adventure travelers affirm keeping the place a zen destination more than a tourist trap: preserved local traditional communities while encouraging local development that does not disturb all the assets that make Myanmar one of the more culturally diverse and exciting places in the ASEAN community to enjoy a middle-of-nowhere jaunt. Having survived being "the most bombed nation" in the modern era--during the Cold War fallout of the Vietnam war, Myanmar is now on the verge of another renaissance (it was one of the premier Asian nations under British colonial rule in the gilded age) as an independent nation under the ASEAN community. After establishing a democratically elected government and is hoping for a bright future as part of a regional culturally diverse economic bloc--(ASEAN) which has been heralded by businesses and expat magazines as probably the world's fastest growing trade market aside from Vietnam and Cambodia. as part of their coming-of-age rites. The U.S. government has recently lifted trade and travel sanctions on Myanmar in the hopes to accelerate democratization (internal strife with a military junta) and free trade within. Myanmar has been experiencing a boon in travelers flocking to the country to experience the mysterious (the Bagan Khmer empire temple ruins) and the middle-of-nowhere (Hsipaw) of it all--which has become one of the most sought after travel holiday experiences by backpackers and schoolies who want a respite from urban rat race environments even if only for a week or a month. Thirty years of internal strife has slowed down Myanmar’s development and it remains a third world nation--poor infrastructure-dirt roads and scant basic services, bureaucratic red tape and corruption--but all that can be overcome when trade and cultural exchanges cement a stronger identity for democracy and free sharing markets with ASEAN and the world. This is the kind of opportunity that some in ASEAN and in the West want in the East, a fresh start or a regional hub where pioneering a business has potential rewards that are better than setting up in crowded, overdeveloped or saturated markets. to its British colonial past given the architecture and old world charm. The best investments in Myanmar may be in businesses that create benefits for both parties--social enterprise, education development, cultural exchanges, infrastructure and health services. Because tourism has only picked up recently, accommodations are usually spare and often fully booked by hordes of adventure tourists wanting to explore the country before it goes to seed like Thailand. Some travelers, especially backpackers and sightseers are even advised to bring their own tent for outdoor camping if rooms and homes are not available in each stopover inside Myanmar where they have to spend the night. Yangon or Rangoon used to be the capital of Burma and is still a thriving urban city with British colonial charm but the more interesting parts of the country are in the countryside--aka Marlboro Country. Yangon may be a decent home base as any for any investment or Myanmar business that farms out to the countryside if it is a social enterprise or off-grid goods provider. 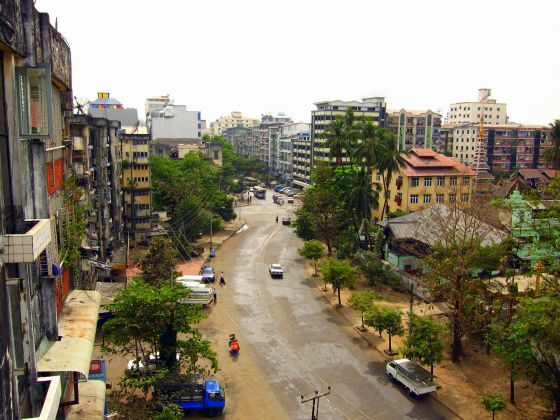 Most of the modern day urban services from internet to electricity and tap water is available to an extent in Yangon. Travel within the country's rural and mountain communities is a tough gig, but not impossible, hiring out a vehicle of taking the bus transports available may be a tiring experience but the sights on the way to each quaint town and province are worth the uncomfortable travel--like the Wild East, a frontier without Cowboys and Indians. 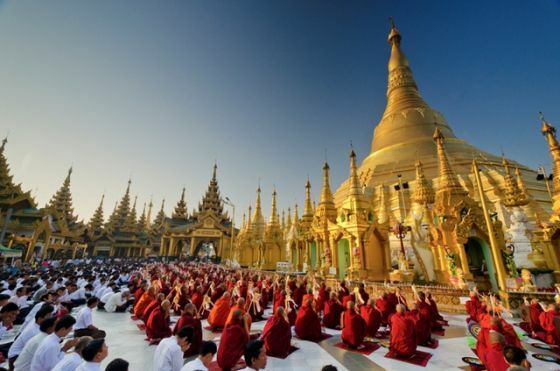 The most traveled places include Yangon, Mandalay and the Inle lake communities for home stay jaunts. A visit to Mandalay is best spent touring the streets by foot or hiring a bicycle and traversing the back streets of the former capital to find the much touted street markets hiding in the city. Mandalay and Yangon offer night markets and weekend bazaars where they sell local crafts and weavings--from winter blankets, machetes, baskets, and regional food delicacies--the Khmer cuisine available locally does not differ much from the Thai-Cambodian Khmer tradition--heavily spiced fresh seafood or meat noodle soups, and a touch of British pomp--teas, coffee, baked pastries. You may check the old Buddhist temples right after and give a prayer of thanks lighting an incense stick. Then load up on supplies (bottled water, ramen noodles or whatnot) for your next jaunt into the Myanmar countryside where all the middle-of-nowhere being and mystic travel experience is waitng. At Mandalay, you can avail of very limited access to working ATMs, so bring crisp US dollars in cash as emergency money or convert your wallet's bills into local currency so you don't run out.. As of mid-2013 Myanmar had ATMs capable of accepting most international cards. Visa and MasterCard credit cards are also now accepted at some local stores and tourist shops. Internet access is not censored anymore and Facebook, Gmail, and any other social media work just fine. Most transportation vehicles including hires are unavailable once dusk hits, given safety conditions of night travel and if you are caught somewhere out at night, chances are you spend the night over in town--bring a portable survival tent if your place allows camping out. The urban centers like Yangon (Rangoon) still look like they were left back in time--the British colonial architecture are still intact and growing old and mossy, while shops are sprouting everywhere as the locals try to stay alive or make a bet on getting better with the new influx of travelers from ASEAN and the world visiting for a piece of throwback Zen-Khmer/Karen culture. 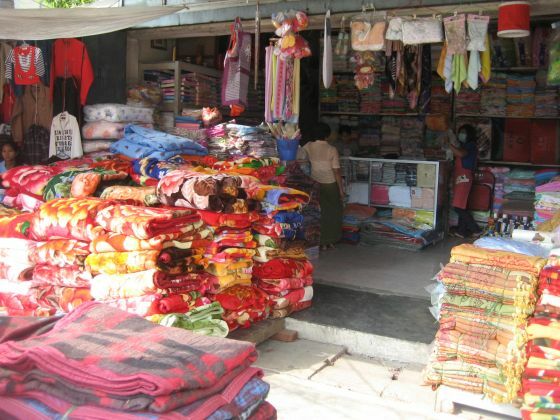 A Mandalay street shop selling winter blankets. Two full days exploring Mandalay gets you all the local flavor you need before you get resupplied for your more interesting holiday experience: out of town runs at off-grid mountain and river communities especially for adventure backpackers. Mandalay may be another home base for setting up shop in Myanmar given certain precautions and being resilient as a possible off-grid location. Moving goods around Myanmar may be the best reason for setting up a location in Mandalay. By either bus ride from Mandalay or government-run boat ferry from Inle Lake are (both 12 hours of scenic travel), you can reach the Bagan plains sprawl which was the capital of an ancient Karen-Khmer kingdom between the 9th and 13th centuries. The wide open Central Plain (farmland) spread over 104 square kilometers has over 10,000 temple-fortress complex. Nowadays, there are only 2200 surviving temples among the ruins in the sprawl and some have been over-restored. Much of the ruins remain as they have for a millenium. The top of the restored Ywa Haung Gyi Temple offers a magnificent view of the Khmer temple citadel complex overrun by verdigris and trees. Adventurous backpackers can hire bicycles for 1500 MMK a day and explore around Old Bagan and see the sights. There are local shops and tourist kiosks that offer interesting local crafts as souvenirs which even include local art and paintings. Hiring a horse cart or caretela for moving around Bagan will cost you 10x more. Two days are enough to enjoy the vistas and get your postcard picture moments, but if you want to stay longer there are accommodations in the area. Catch a bus back to Yangon if you want to tour the other Myanmar holiday destination. Off-road and survival vehicles that can carry plenty of people around are one of the best services or products to offer or make available for low cost between Yangon and Bagan--surivival bikes, off-road SUVs and buses, as well as trasnport vehicles. These are going to help the area get better access to other waypoints and improve the quality of life of the locals. 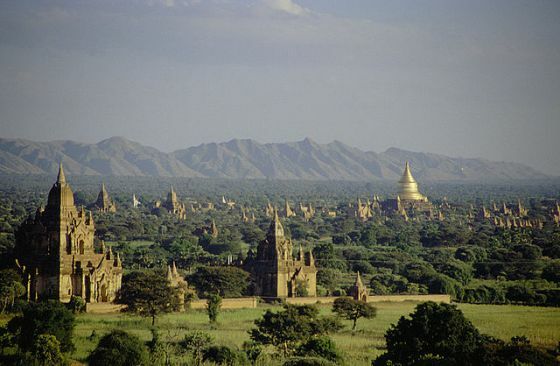 favorite holiday destination in Burma. It is very difficult to go around in Myanmar because of the limited number of vehicles available--and night buses often arrive at empty stations--local transport when available are cheap to hire. This alone should give travelers an idea of the logistical opportunities available given whatever government incentives are available for social enterprises that hire locals, use or adapt green tech locally, and bring in hard currency. Comfortable sleeper buses are slowly making the rounds for better travel but cheap accommodations in the out and even at the urban centers are few and most cost more than they should given the room conditions and amenities where you can stay. Anyone who is willing to take a risk starting a bus ferry transit service or any other long distance overland travel service, no matter how small in Mynamar, may find gold as long as they can manage to deal with all the red tape involved in setting up locally. A waypoint to the northern territories, Hsipaw is a small village north of Mandalay, that is attracting plenty of backpackers and off-grid adventure enthusiasts that include schoolies. Hire a tour guide to help you explore the surrounding mountain towns. You may choose to go it alone and skip the guides and head out to the villages around Hsipaw yourself to experience Shan culture first hand. Food is very cheap and heavenly which includes beer too--something schoolies should love. Local street food is very much considered a feast even for the locals and should also be carefully chosen given that locals use fresh everything so keeping your own meds on hand (fresh ginger will do) should keep you away from bouts of indigestion or worse. Rest assured, the heavily spiced meats and seafood does kill off most things that can harm your belly. When in town or urban centers make it a point to buy drinking water so you don't run out wherever you travel and risk drinking water your stomach isn't acclimatized to. Cold storage facilities that can function off-grid would greatly improve food supply grid conditions for keeping fresh food properly stored in clean and sanitary conditions. You may arrange accommodation in monasteries and home-stays as very few people in the hills speak English. Ask at the guesthouse in Namshan for Momo, he speaks excellent English and charges 10,000 per person per day for guiding and breakfast, dinner and accommodation. Sleeping is cold and uncomfortable. Take a fleece. Visiting a local town named Pyin Oo Lin allows you to experience a scenic, train journey then travel by bus to other towns around Lake Inle. Even in remote towns like Hsipaw, having survival equipment that can replicate or create basic services-potable water, solar power, green cooking tech, can greatly improve local lives as well as make it more attractive to travel to such middle-of-nowhere destinations knowing you can live there comfortably. Inle Lake is another backpacker favorite, for just whiling away long walks enjoying all the untouched countryside views, people watching, learning how to fish like a survival, to just lying in a hammock and reading any paperback you bring along for company. Inle is the lake area towns and river communities where visitors can settle for a period to have a taste of the slow, day-to-day existence in hideaways of Myanmar. Tourist traps in the place include the Jumping Cat Monastery and the riverside hamlet villages on stilts that invite selfie photo op moments. You can hire a bicycle and tour the bazaar markets around the Inle communities, visit the tofu village or grab some homemade wine at the local vineyard. 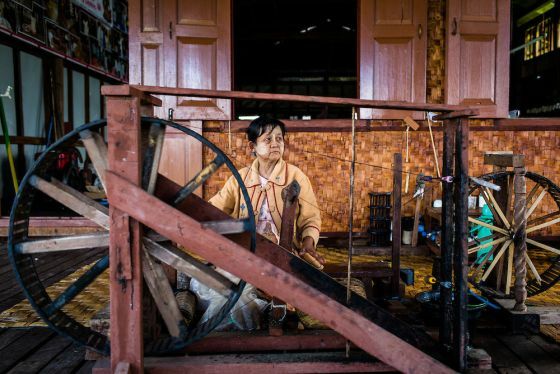 Locals still weave their cloths and blankets by hand using turn of the century technology. Bring an outdoor survival tent so you truly enjoy plopping anywhere safe and kicking back in one of the few off-grid getaway places around the ASEAN where you can. You can peruse the local crafts trade and market them to other places around Asia as vital survival gear--pottery as low cost food storage that can be rigged into Zeer Pots for storing surplus food harvest, woven baskets and blankets and clothing as not just kitsch or curio gifts but really useful lifesaver survival gear. Described as the Naples of the East, Ngapali Beach is the most popular and expensive beach holiday location in Myanmar where travelers can enjoy snorkeling, craft gift shopping at nearby Chin villages and a feast of the best seafood dishes. 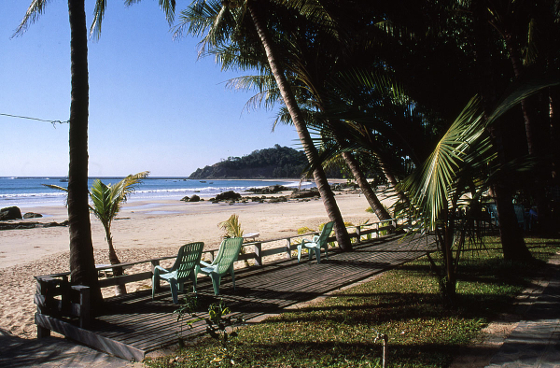 There are at least 7 to 9 boutique resorts with either suites or bungalow cottage types available for accomodation--if looking at Myanmar on a business trip, it might be best to swing to Ngapali beach then move inland to see everything available in this gorgeous, laid-back country. Be forewarned that the safest and fastest trip to Ngapali Beach is via air and the local roads are still so bad that it takes a 6 hour bumpy and dusty bus ride from Yangon or Mandalay to this beach resort. Myanmar might not be the most obvious travel or investment option for ASEAN or western travelers which is why off-grid aficionados and backpacker rat-packs from everywhere are flocking to the country before word goes out that the place is the next place to be in Asia. Don't miss out on a chance to discover the quiet and endearing place that Myanmar beautifully is and find your adventure looking for local investment opportunities or just enjoying a new place for your beach holiday.